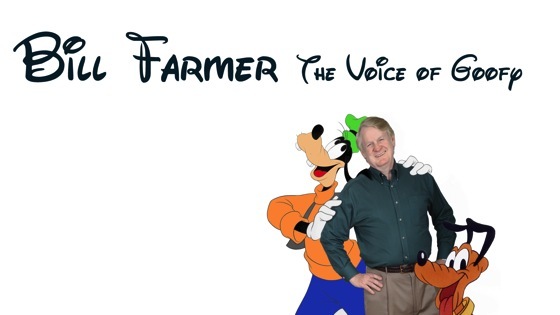 Career Opportunities Host, Douglas E. Welch, sits down with Bill Farmer, voice actor for Disney’s Goofy and many other well-known animated characters. They talk about a career in voiceover, how to build it, how to sustain it and career potential of becoming a voice actor today. Bill was in Australia at Oz Comic-Con in Melbourne on 6 and 7 July 2013 and was interviewed by the folks at TheReelBits.com. You can listen to the entire interview below. Bill was interviewed about his life as a voiceover actor and being the voice of Goofy by Cate Allen on “Celebrating Women” which airs on Ktalk Radio in Salt Lake City, Utah. You can hear the entire show using the audio player below. * Note: This is the complete audio from the radio show, so you will hear advertising at the beginning of the show and within the interview. Bill was interviewed by TeamWayfinder for their YouTube Channel back on April 9, 2013. You can listen to this audio interview using the YouTube player below. The Tiara Talk Show Team is excited to welcome Bill Farmer, the voice of Goofy and Pluto to the Royal Banquet Table to discuss how he got the job of voicing Goofy, talking about the debate about whether Goofy is in fact a dog or not and who his favorite love interest was for Goofy.